People build homes around trees and structures, but this contractor seems to have come up with a better idea; let’s bring in the pole. 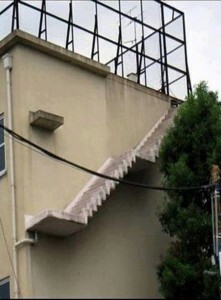 And this staircase is going nowhere. It is why they say, “If you think it’s expensive to hire a professional architecture to build a house, wait until you acquire the services of an amateur.” A professional construction company is Pakistan will not only enlighten you on latest trends and designs in home construction but also ensures it make the best possible use of available space. Besides exemplary craftsmanship and hands-on approach, expert architecture firms like AmerAdnan Associates insist on working closely with the customers than conducting just one or two meetings with clients and that too prior starting the project. With high standards and fine attention to details, AAA builds functional living spaces that leave an opulent impression. In brief, new construction should be free from stress and worry and done right the first time. 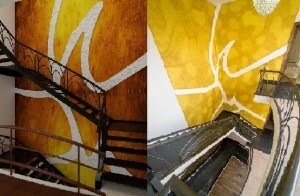 No matter, your residential or commercial project is very large or small. Dealing with a professional architect in Lahore is the right way to go about any project. Many of you would be wondering how they can be fully assured of a contractor, especially if it’s the first time they are hiring a firm or engaging a new company. Here we have identified eight reasons for you to hire a professional. 1: Start to Finish: A professional construction firm aid you put together all the pieces from the beginning till the very end. This includes generating ideas to designing and construction till completion. 2: Experience & Knowledge: The hands-on experience and industry knowledge allow professionals to help you turn your dream project into reality – meaning, great results. They comprehend your needs and requirements prior making any suggestions and then look for the best way to do things. 3: Technical Competence: Pros exactly know how to deal with technical issues that gush up during design and construction process. 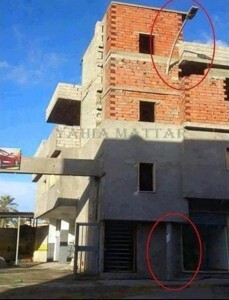 They know how to improve the comfort in a new construction. 4: Better Workmanship: Hiring a professional renovator means, you’ll get skillful workforce and a solid network of personnel, suppliers, sub-traders ready to work on your project. 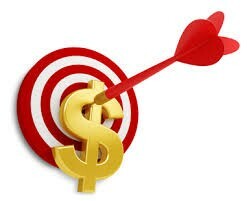 5: Accurate Pricing: When working with professionals, you won’t have to be concerned about escalating prices, lowball costing and inferior work once the project begins. Expert architects know what it takes to finish a job and what exactly it costs and they won’t understate a cost deliberately. 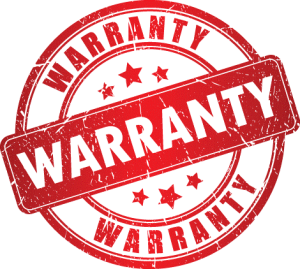 6: Warranty of Material: Like any other purchase, a professional construction company such as AAA provides a full warranty of the materials used in construction. So there is no risk of fraud or cheating. 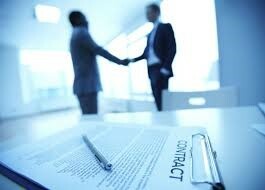 7: A Written Agreement: Beyond trust, professional firms back up their contracts in black and white. It helps you comprehend the scope of the project and highlight in detail-what, where, when, who and how the project will be completed. 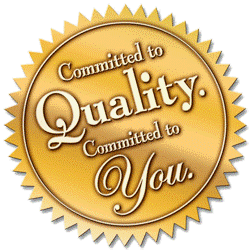 8: Quality Service: Delivering quality service is at the core of any professional architecture company. Unlike amateurs, professionals want to stay in business for long. So they are willing to work hard to gain clients’ trust and make every construction project a superior experience.